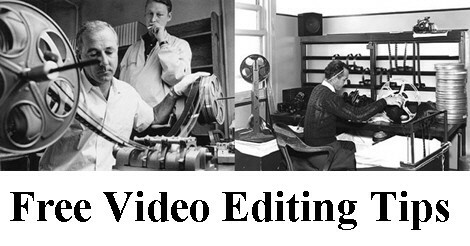 Over the past few years I have had numerous questions sent in to me on the general subject of video editing. One thing I have noticed is that very often they are the same questions over and over, so being a chronically lazy person I have decided to gather them together in this one report! Just fill out the form below and I’ll send you a link for the download. Make sure you go to your email client or email service and whitelist the “diyvideoeditor.com” domain so that the confirmation email will get to you unhindered. If you don’t get an email make sure to check your spam folder and failing that just contact me directly using the Contact link on this site and I’ll get back to you asap. By the way, I hate spam and I am sure you do too, so relax, I only ever send emails when there is something worth your while in them. To handle the download I use MailChimp for the sign-up process to make sure your information is kept secure and cannot be passed on to any third party. Just hit the big blue button below and to report will be on its way in no time!